Slash has revealed Guns N’ Roses’ plans for 2019 in a new interview with Chile's Futuro 88.9 FM. While speaking with the radio station about next month’s launch of a South American tour with Myles Kennedy & The Conspirators in support of their latest record, “Living The Dream”, the guitarist mentioned that Guns N’ Roses had some live plans of their own this year. 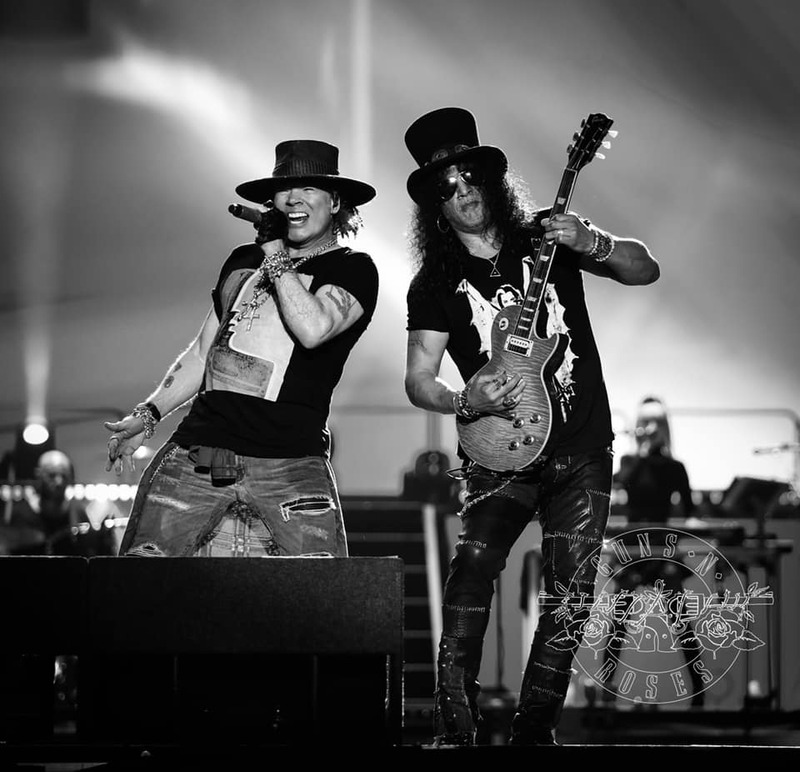 "After South America, we go straight to Europe and do the festivals over there,” explains Slash (hear audio below). “And then from Europe, we go back to the States and Canada and do our first Canadian tour, plus some US dates. And that goes until August. And then after that, I'm gonna hook up with Guns N’ Roses. Guns N’ Roses recently announced their first show of 2019 will be headlining set at the three-day Louder Than Life Festival in Louisville, KY on Saturday, September 28. A presale for Guns N’ Roses Nightrain members is underway now, with general public tickets going on sale beginning Monday, April 8 at 9am local time. Full event details are available at louderthanlifefestival.com. The appearance will mark the group’s first concert since closing out the multi-year Not In This Lifetime reunion tour with their first-ever show in Honolulu, HI last December.